Sala Sweet, Terry Jaworski, Larry Steele and JoAnn Schindler contributed to this story. 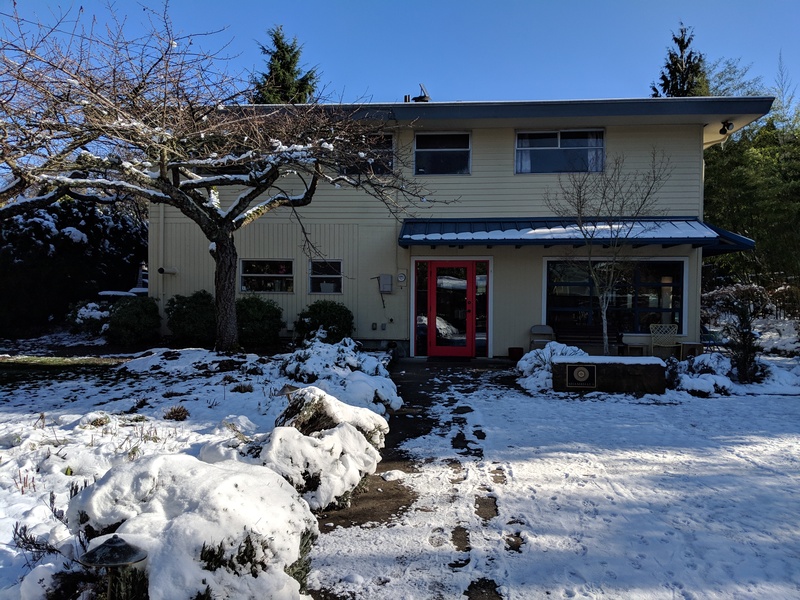 The year 2018 was a challenging time for the Seattle Shambhala Meditation Center. Reports of sexual misconduct on the part of teachers in the global community, including our lineage holder Sakyong Mipham Rinpoche, touched each one of us. In our own center, a Care and Conduct case arose when two long-time sangha members reported being harmed by the other. These individuals had deep roots in the community and the formal processes for investigating these claims caused tremendous stress in the sangha. In the end, our community lost two valued members and we learned on a personal level how difficult it can be to deal with issues of harm. Each of us has been affected by these challenges in a different way because of our personal relationship to the Shambhala teachings, the teachers, and our sangha. However, we also hold something in common. We have been taught that difficult times are necessary stepping stones on our path toward enlightenment. Each obstacle we face offers an opportunity to wake up and practice skills like compassion and openness. Using this view as a foundation, Seattle Shambhala organized a variety of conversations in 2018 so that thoughts and feelings could be openly shared and held within our community. When Sakyong Mipham Rinpoche stepped back from his leadership and teaching roles, strong emotions and difficult questions arose. Six “listening circles” were convened so that members of the sangha could express their feelings and offer suggestions for how our Center might work with the situation. A community meeting was held to discuss whether or not the pictures of the Sakyong and the Vidyadhara, Chogyam Trungpa Rinpoche, should be removed from our main shrine room and our most public spaces. The discussion aroused deeply held feelings between people who were on different sides of the issue. After small and large group conversations, an interim agreement was reached that removed the photos from public spaces but kept them displayed in the Vajrayana shrine room. While not everyone liked the decision, most people left with a more compassionate understanding of the complexity of views and emotions. When our local Care and Conduct case arose, the confidential nature of the matter made it difficult to talk openly about the situation. Eventually an outside facilitator, Becka Tilsen, was hired to facilitate two group conversations among the individuals most directly involved and impacted. These conversations served as an outlet for strong feelings and a chance to clarify questions. The challenges of the past year have left a mark – some members have left while others have decreased their presence for the time being. Some relationships were tested. And yet, our sangha survives and is moving forward. Our guests, who come to a program or open meditation, continue to arrive. Many are hungry to look at their own spirituality and establish a practice. The value of the teachings remain intact. This is a great gift we have to offer. And many guests have joined us on an ongoing basis, expressing their gratitude for our container of community and practice. The Governing Council has played an important role in supporting our community. Their skillful means have been a major factor in convening community gatherings and sharing more information with the sangha (e.g., meeting minutes, 2018 financial report, and a resource page that holds all local and international emails relating to events of the past year in Shambhala). They continue to invite suggestions from members, either through personal conversations or email at council@seattleshambhala.org. The events of the past year have opened up discussions that should have taken place in the past, and have given us a space to decide what we want our community to be. We encourage you to join us when invitations arise to offer your insights. As we know from our teachings, change is inevitable. Let us come together to make those changes in way that is respectful, open to new possibilities and inclusive of all who are a part of our community.